Welt cording follows every outline of MacLeran’s geometric style. 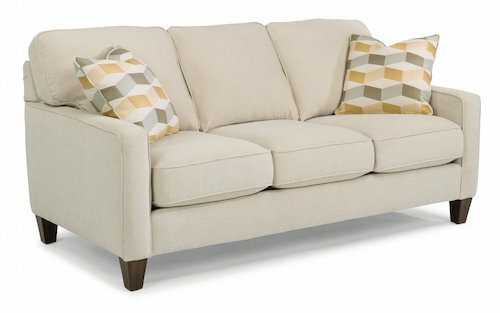 Its clean lines are soft, yet crisp providing a classy appeal fit for any room in your home. Its tall tapered legs, square arms, box back and seat cushions, and box accent pillows further enhance the geometry and style of MacLeran. Refined looks in a simple frame. Also available in a Loveseat and Chair. Welt cording displayed on a modern frame. Also available in a Loveseat and Chair.